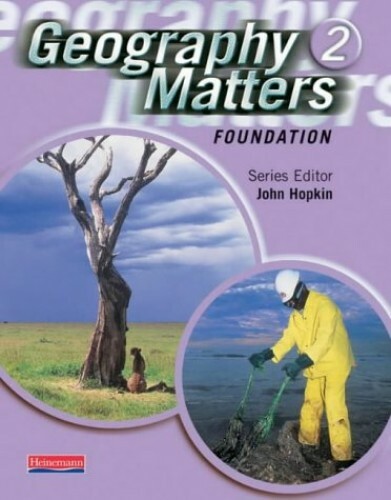 Geography Matters is a popular course that follows the QCA Scheme of Work and offers support for the Key Stage 3 Strategy.The Foundation Pupil Book covers exactly the same topics as the Core Pupil Book but with simplified text and activities to aid pupils' understanding and improve their performance. An enquiry approach to the National Curriculum encourages pupils to investigate topics and issues independently. Specific activities for literacy, numeracy, Thinking Skills and ICT to ensure you are covering these essential requirements Integrated geographical skills such as map work and data analysis really build pupils' understanding.